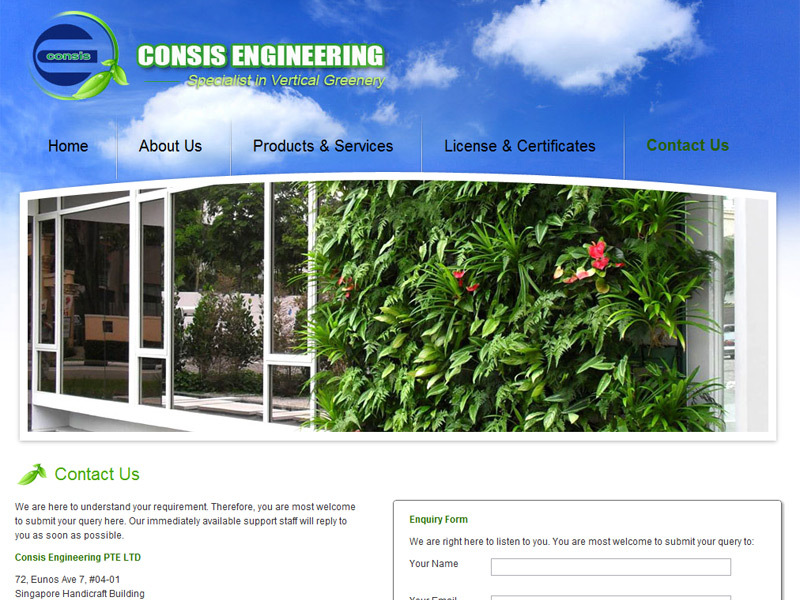 CONSIS Vertical Greenery System (CONSIS VGS)is a leading green wall system with a numbers of superior features. This patent protected system is fully integrated with automatic irrigation, drainage and fertilization functions. 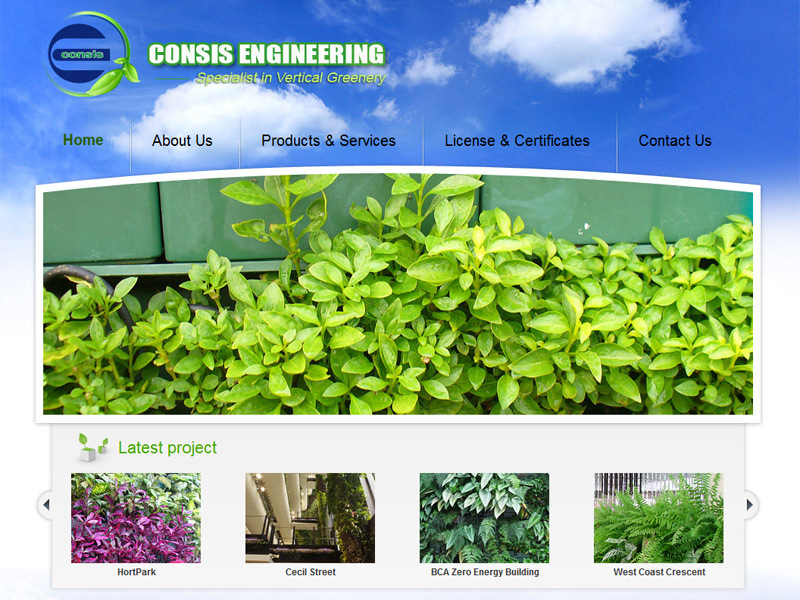 First showcased in 2007 at Singapore Garden Festival, CONSIS VGS has been implemented in many projects in Singapore and overseas. 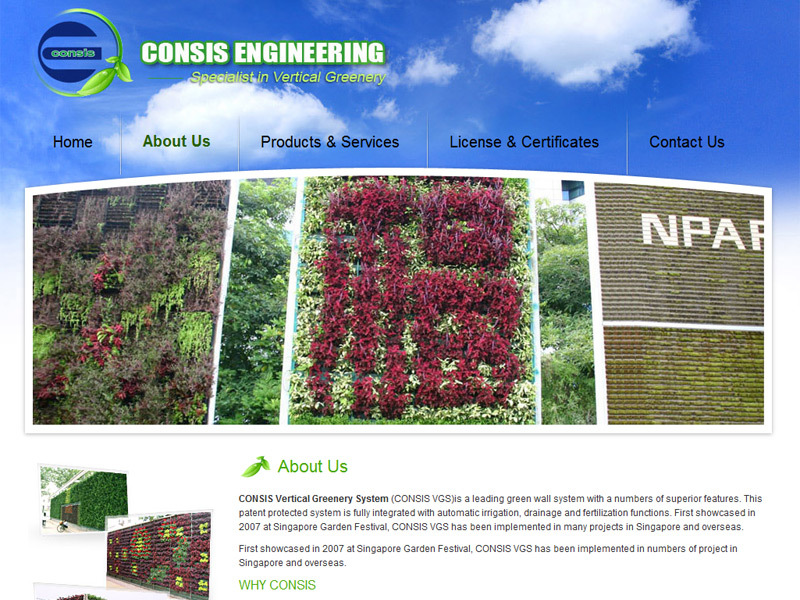 First showcased in 2007 at Singapore Garden Festival, CONSIS VGS has been implemented in numbers of project in Singapore and overseas.